Did you all have a good weekend? We celebrated Easter with my family and it was wonderful to share a meal together and talk about old memories. We still have Easter Monday off but I'm ready to get back to work! 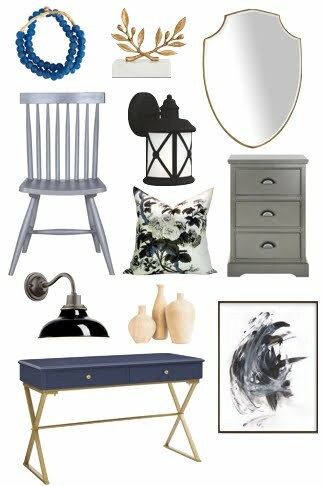 If you caught my Instagram, you'll know that work is coming soon... once again, I'm honoured to be one of the 20 featured designers for the Spring 2018 One Room Challenge! And it starts on Wednesday!! BUT FIRST... time to finish off the last bits and pieces of our craft room renovation. 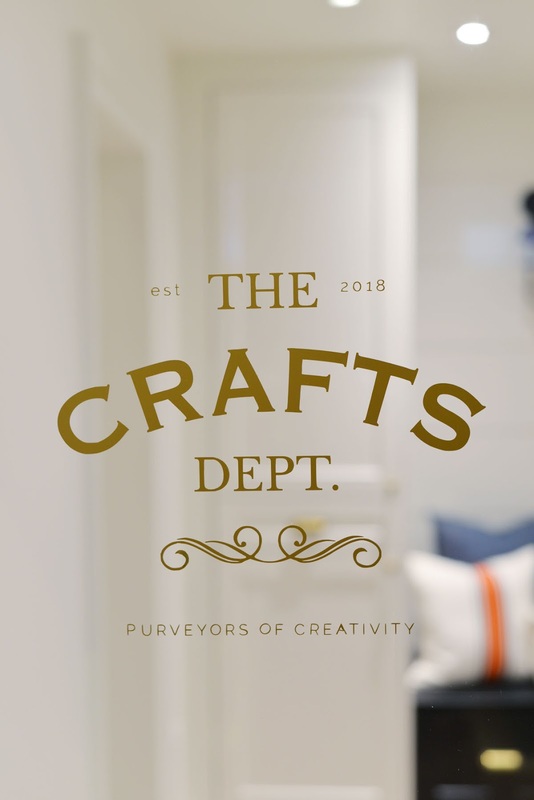 I'm excited to show you one of my favourite elements, the craft room door. I don't think I could love a door more than I love this one. She (yes, it's a she!) is a showstopper. 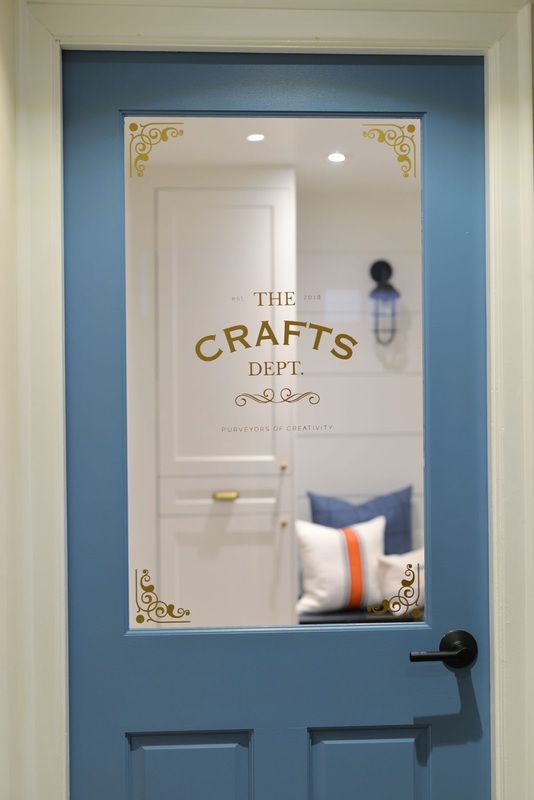 When I designed the craft room, I knew that I wanted the door to entice you at first sight. It would give you a sense of the fun and creative things that happened in the craft room. 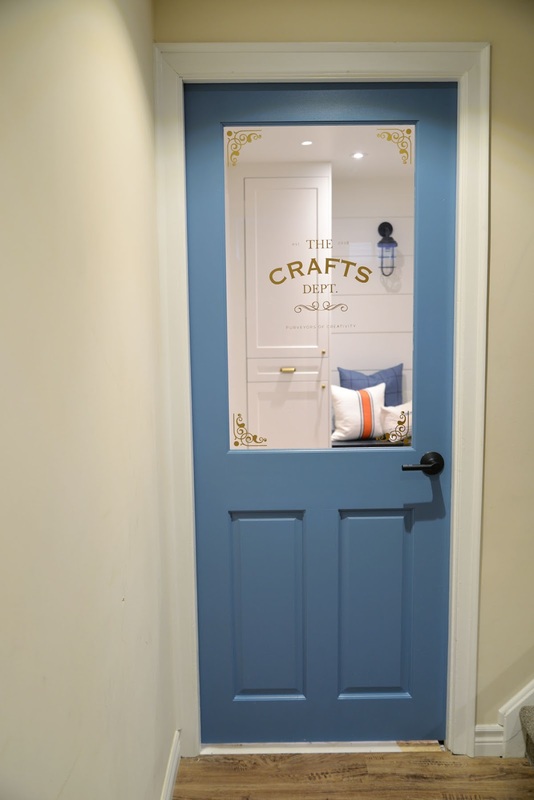 I was lucky to partner with Metrie and Schlage Canada to bring my vision of a memorable craft room door to life. For the door, we went with the Lemieux Artisan Collection 144 door from Metrie. 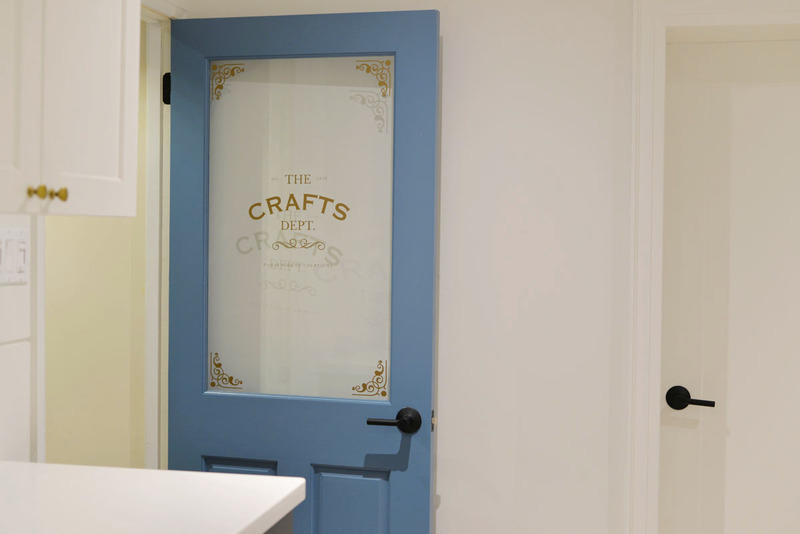 As the craft room has no natural light, choosing a door with glass helps the room feel more open and spacious. I liked the two panel design of this particular door which looks more traditional in keeping with the rest of our house. To really bring out the door's features, I chose a gorgeous, vibrant blue (Blue Moon Bay by Behr). The saturated colour works with the modern coastal theme of the craft room. We'll be replacing the door trim and flooring outside of the room as well but for now, we've got a flooring gap we need to remember not to trip over! I paired the door with the Broadway Lever Hall and Closet Lock in Matte Black from Schlage Canada. 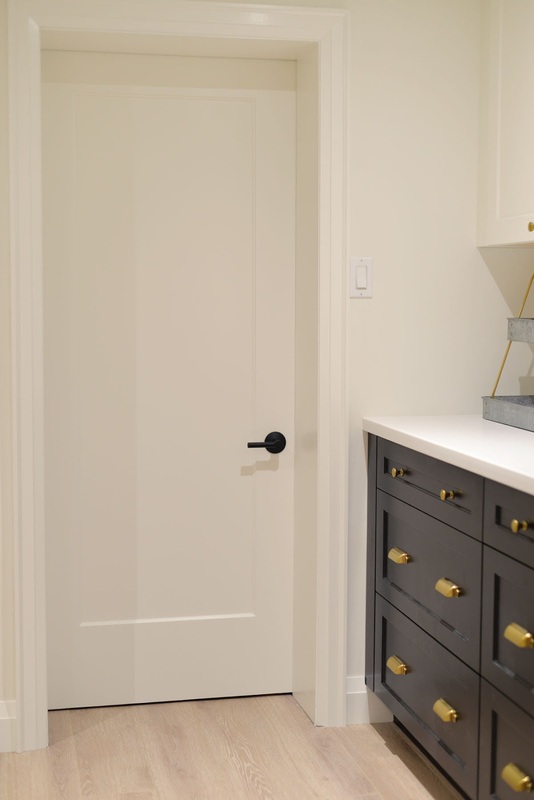 Upgrading your door hardware is a quick, affordable and impactful way to express your personal style. I used the Schlage Style Selector to find a handle that would fit my requirements: lever style (I find knobs difficult to open), and a matte black finish. 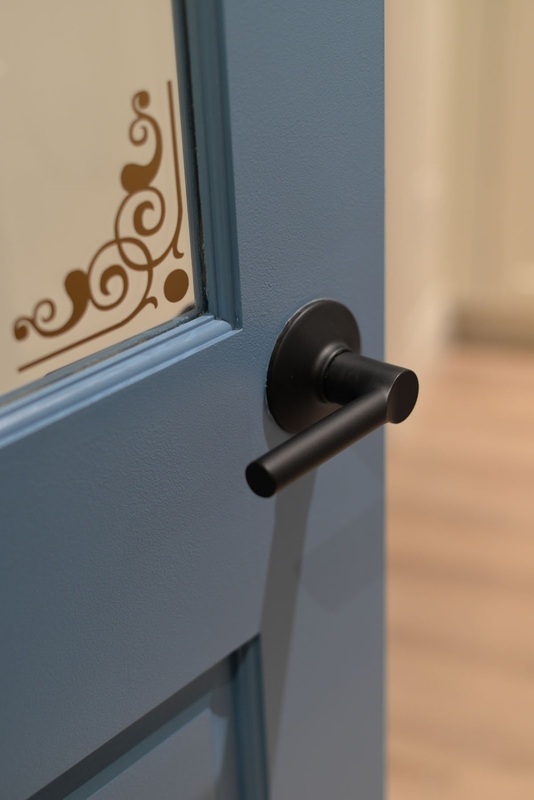 The matte finish and modern lines of this handle juxtapose nicely against the traditional door. We made sure to match the door hinges with the black hardware as well. The other two doors were replaced with Metrie's True Craft solid doors. 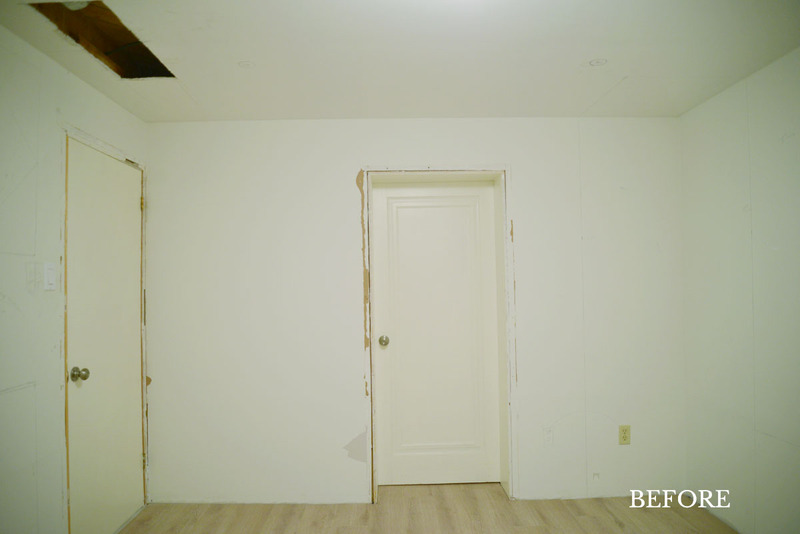 I didn't want these doors to command too much attention so they were painted in Behr Arcade White to blend in with the walls. We used matching Broadway Levers on these doors as well. The final details were the vinyl decals on the glass. I found the corner swirls online but I designed the text wording myself. I printed the design on my Cricut machine. Note to self: use a thicker font next time. It was super challenging to get those small letters in place! The decal really takes this door to the next level, don't you think? 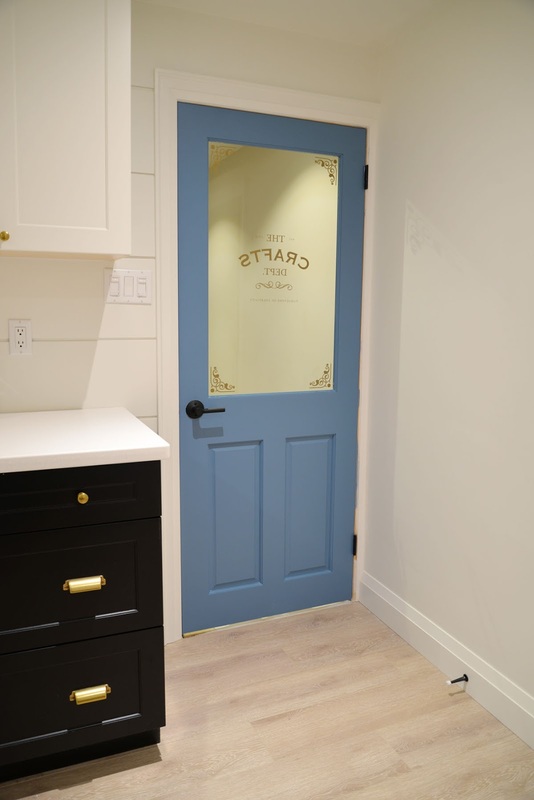 That's really how I approach design... paying attention to small details like colour, shape, and texture helped make this simple craft room door something out of the ordinary. I still have other elements to finish up. I know, this craft room project is dragging on! It will need to wrap up soon though - our One Room Challenge renovation is ready and waiting! Come back on Wednesday to find out what our next project will be. Disclosure: Thank you to Schlage Canada and Metrie for sponsoring this project. 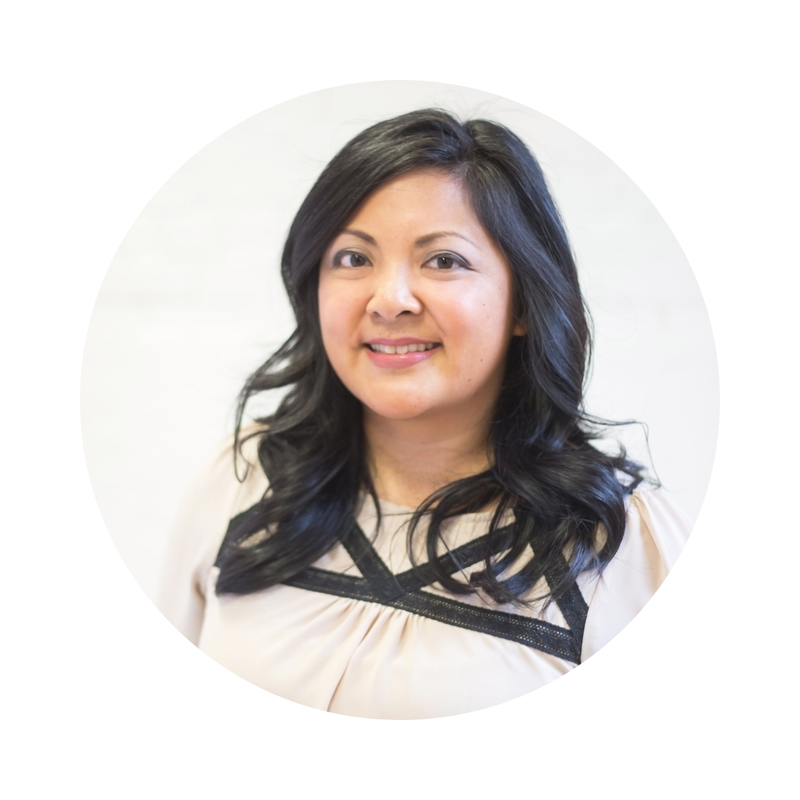 And thank you to you for supporting the brands that make this blog possible!